If you're looking to sum up Summer in one outfit, I think this is it for me. All of my favourite aspects of Summer style are present - crop tops, neons, floaty skirts, metallic sandals, awesome sunglasses and floral hair pieces. I love when you can take one amazing piece and add a few basics to make a banging outfit. 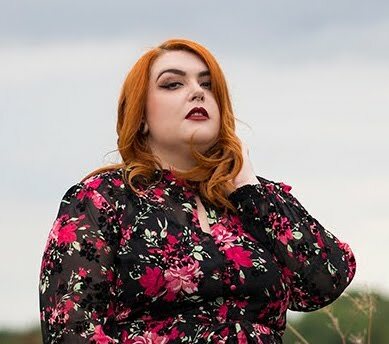 I've waxed lyrical about my love for Danish brand Zizzi many times before and this Digital Print Skirt (£29.99*) from Navabi is a prime example of how they turn classic designs into contemporary statement pieces using beautiful patterns and fabulous quality fabrics. 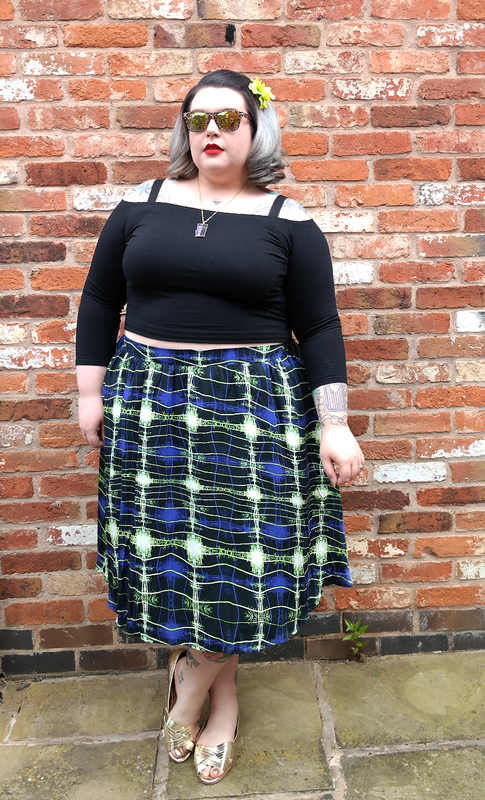 There is actually a matching top to this skirt so if you choose you can wear it as a coord, but I just teamed it with the ultimate summer basic - a fitted black crop top with three quarter sleeves. To highlight the beautiful neon green in the skirt I chose a hair flower in the same super bright shade and added the final pop with gold accessories. 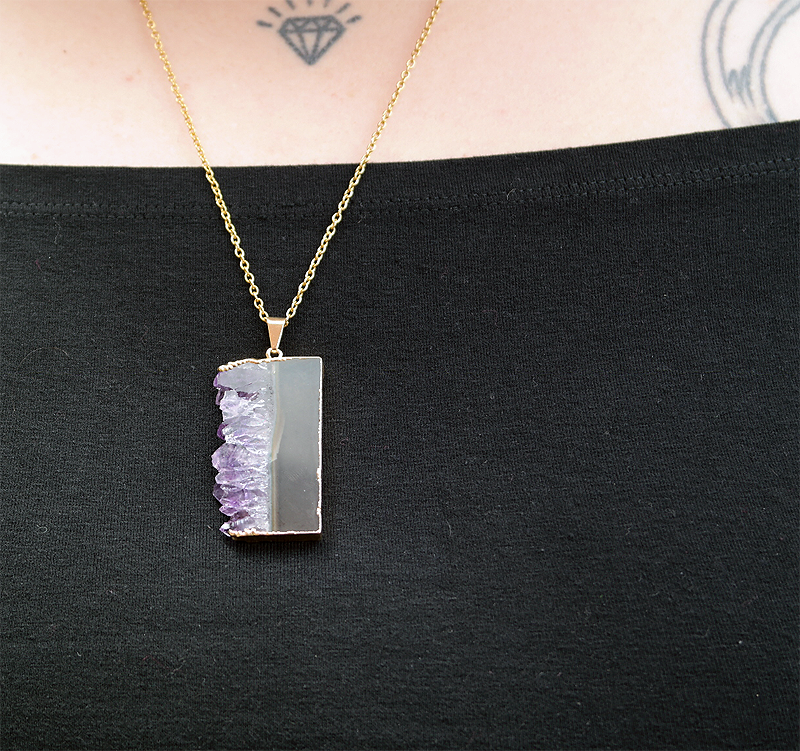 These cute little Gold Weave Peeptoe Pumps (£10.00*) from Evans are so sweet and comfy and my Amethyst Slice Necklace (£20.00) was from a really unexpected place - it was a souvenir I got at the Natural History Museum on our anniversary trip to London!